» A Review of Casio ProTrek PRW3000: Will This Be the Watch You’ll Love? A Review of Casio ProTrek PRW3000: Will This Be the Watch You’ll Love? The Casio ProTrek PRW3000 puts the previous Casio watch models to shame with its incredible advancements in size reduction, technology and overall wear. With more features then you can imagine, the Casio offers outdoorsman, mountaineers and bike riders the perfect lifeline to mother nature. From thermometer displays to highly accurate altimeters, advanced mountaineering watches such as the Casio ProTrek 3000 feature a myriad of useful modes, settings and logbooks. To give you the best review possible, we’ve analyzed each feature and its effectiveness. Built with the Casio’s new and improved Triple Sensor Version 3 engine, a durable outer shell and a thick solar power panel, the Casio ProTrek 3000 outlasts nearly all of its competitors when it comes to its shelf and battery life. Casio quotes the approximate battery life of their watch at 7 months on a full charge and without any light exposure, but users confidently claim that the watch lasts nearly a year on just one full charge. To minimize its battery consumption, the watch enters a sleep mode whenever it goes unused for a duration of time. The second you hit a button, however, the watch immediately springs back to life. In relation to its predecessor, the Casio ProTrek saves 95% more battery. The physical shell of the Casio ProTrek is both water and temperature resistant material. 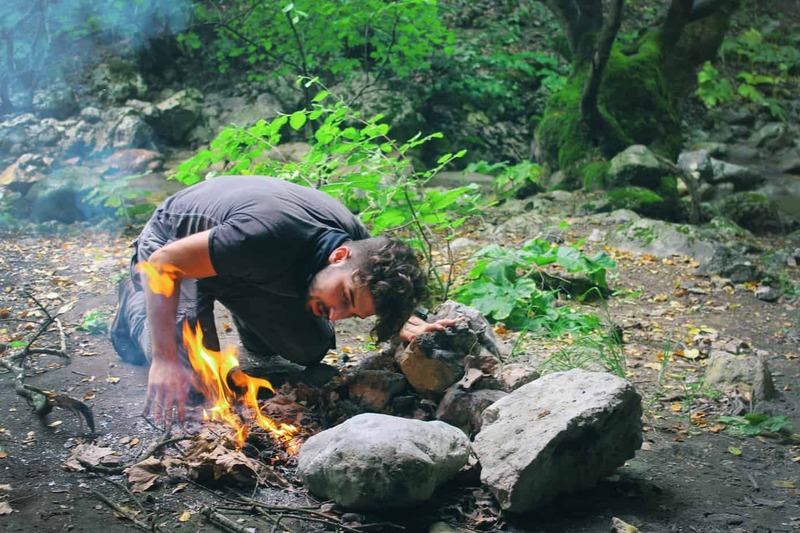 With functioning capabilities down to a depth of 100M and to a temperature of 14 degrees Fahrenheit (10 degrees Celsius), the Casio ProTrek withstands nearly any environmental conditions you put it through. Furthermore, most users find no problems with the watch in colder conditions such as when skiing, snowboarding or snowmobiling. The right watch may go unnoticed around your wrist, but the wrong one will bump and grind against your skin until your left with an uncomfortable rash at the end of the day. Before settling on your watch, consider how you want it to feel around your wrist. Do you want a heavy watch or a light one? A firm band or a soft band? 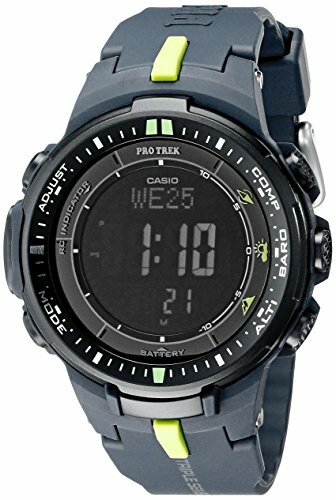 The Casio ProTrek is one of the smallest models on the market. At roughly 47mm in width, 57mm in length and 12mm in depth, the Casio ProTrek fits tightly around your wrist for a comfortable and near-unnoticeable grip. The watch weighs in at only 62 grams — a light weight compared to its competitors. With a durable, firm wrist band, the watch secures tightly to your wrist. At times, you may feel the band around your wrist, but this may prove beneficial depending upon your preferences. You might think timekeeping is a universal technology, but you’ll quickly come to discover how widely technologies vary between watches. Despite the analog vs. digital debate, watches use unique calibration settings, sensors and modes to help keep their time accurate. Much of Casio’s technological advancements come in the timekeeping realm. 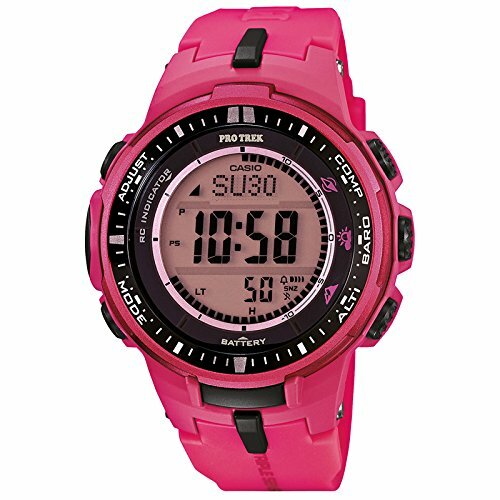 The new ProTrek 3000 features 6 minute sensors, which are 90% smaller than the previous Casio version. These sensors combine for what Casio dubs as their Multi-Band Atomic Timekeeping feature. The Atomic Timekeeping receives live time calibration radio signals from all around the world, removing your need to adjust for time zone shifts. In the settings, choose to receive signal updates up to 6 times a day (5 for China) and freely calibrate the system as well. This unique feature ensures a constant accuracy within 15 seconds of real time — much more accurate than most watches. The sensors also provide users with a world time database. By navigating the World Time menu, you can flip through 31 time zones, 48 cities and all daylight savings times. Advanced options include switching the watch between a 12 and 24 hour clock. Perhaps the watch’s best time keeping feature falls in their sunrise and sunset data analyzer. Together, the 6 atomic sensors calculate the sunrise and sunset time. With a quick glance down at your watch, learn what time the sun will rise next Friday for that hike your planning with friends. Check times all the way up until year 2099. Like most outdoor watches, the Casio ProTrek 3000 also contains an altimeter measuring gauge. With a 1 meter measuring unit, the watch gauges altitudes between -700 meters and 10,000 meters tall. Just to put that in perspective, that’s over a mile below sea level and several above Mt. Everest. Using an auto log data feature on the watch’s logging interface, you can browse through your historic high and low altitudes as well as cumulative ascent and descent numbers. Compile and browse through over 14 altimeter records to view your highest hikes or longest treks in recent weeks. You can also adjust the measurable interval from 5 seconds to 2 minutes depending upon how rigorous your hike is. Click through the watch’s display screens to find both the thermometer and barometric display screens. With an incredible accuracy, these screens provide a live, updated measurement of the external temperature (14 – 140 degrees Fahrenheit) and of the external barometric readings. The barometric display provides an atmospheric pressure tendency graph, a differential graphic and a pressure change indicator. On the front screen of your watch, you’ll also find a 48-hour bar graph displaying your recent barometric pressure readings. If desired, you can even program your watch to alert you to sudden changes in barometric pressure readings. A compass serves as an essential item for any extreme outdoors adventurer. Luckily, the Casio comes equipped with an expertly designed digital compass built into its framework. The compass displays 16 directional points around the circumference of the clock’s face. A graphic pointer allows users to not only keep an eye out on the relative northern direction, but also on a locked destination of their choosing. Users can then compare both their locked direction with the northern indicator by using the watch’s graphic system. The digital compass also utilizes a magnetic declination correction bearing memory to prevent unwanted magnetic fields when traveling. The watch features 6 alarms. One of these alarms permits a snooze function. However, the snooze function takes some skill to set up. Once you’ve figured it out, you must flip back through the phone’s interface to reset the alarm and deactivate the snooze button. 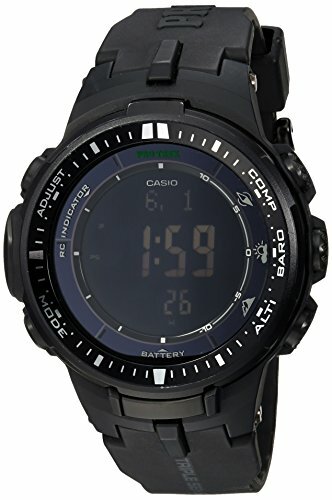 Unlike most outdoor watch models that offer only a basic stopwatch or countdown setting, the Casio’s stopwatch allows for a split time recording. Lap times and distances appear at the click of a button, making jogging and sprinting with the watch a possibility as well. The only negative side about the Casio’s countdown mode is that seconds cannot be added. Only one minute increments display. On the positive side, the countdown does climb to 24 hours, which far surpasses competing models. The Casio ProTrek does not feature a button lock ability. This means that occasionally you’ll accidentally trigger a button mishap and either reset the time, trip an alarm or hop into the wrong mode. While the backlight is incredibly bright, every time you press another button while the backlight is activated, the backlight shuts off. This makes navigating your watch at night virtually impossible task if you haven’t memorized your menu settings. Although a rather minor consideration, the +/- buttons are reversed. Whereas most watches place the increase button on top and the decrease button on the bottom, the Casio ProTrek places the buttons in opposite positions. This is something you will quickly get used to though. The Casio ProTrek 3000 is a fantastic watch with above average capabilities. No separate profiles are needed and every screen can be cycled through with ease. Competing models may offer more in-depth barometric readings and logbooks, but the Casio ProTrek offers more than enough for any basic outdoor adventurer. We highly recommend the Casio ProTrek 3000 to anyone interested in beginning an outdoor adventure campaign. While better models do exist on the market, the Casio ProTrek is a great introduction to the world of advanced watch data collection. Plus, the watch comes with five customizable colors and bands to fit your personal preferences.